There are no exact rules for who is part of the royal family and who is not, but there are certain members who are better known in Britain than others. It can however get confusing as to how they are all related and what their roles are. It doesn’t help matters the fact that most of them have titles that they are referred to as well as their names. For example, many of the most important members are given HRH before their name, which stands for His/Her Royal Highness. Similarly, the monarch has HM, meaning His/Her Majesty. Below you can find a Guide to all the most well known and important members of the British royal family. 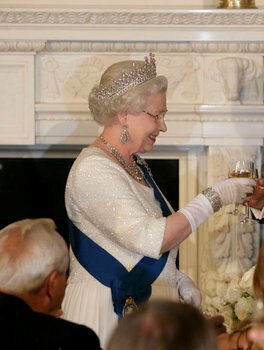 Elizabeth II has been Queen of the UK and the Commonwealth realms (15 other countries around the world) since 1952. She came to power after her father, George VI, died, as he had no sons and she was the eldest of his two daughters. She is currently the third longest reigning British monarch of all time. In Britain she is widely liked and is known to have a dry sense of humour (a characteristic very common in the British). However, large parts of her life remain a complete mystery to the public, as she never gives interviews and rarely reveals personal details. One of the few occasions each year where she is in the public eye, is her address to the country on Christmas Day. ‘The Queen’s Speech’ has been a tradition ever since 1932 (when of course it was ‘The King’s Speech’), and is a chance for the monarch to address social issues important at the time. Prince Philip is the husband of Queen Elizabeth II, who he married in 1947. Though he is not part of the British royal family by blood, his marriage meant he was granted the title 'His Royal Highness' by King George VI (Elizabeth’s father). Officially, his main role is to support the Queen, though he is also head of over 800 organisations and carries out over 300 public engagements a year. He is a particular champion of British environment, industry, sport and education. However, he is probably most famous for founding and developing the Duke of Edinburgh’s Award. This is a popular award for young people in Britain where they have to participate in sport, community projects, music and physical activities. 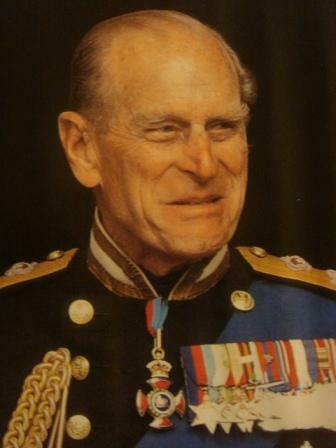 Charles is Queen Elizabeth and Prince Philip’s eldest son and therefore heir apparent to the throne. This means that if the Queen dies or is forced to abdicate (through ill health for example) then Charles will take over as King. It is because he is heir to the throne that he has the title ‘Prince of Wales’, which is a tradition that dates back hundreds of years. 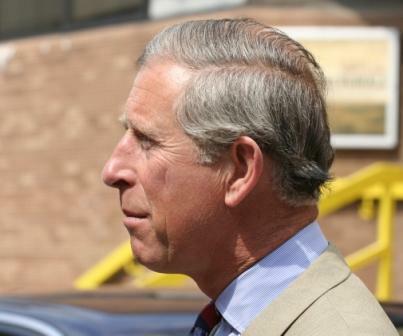 Prince Charles is probably best known for his turbulent relationship with Princess Diana. In 1981 he married Lady Diana Spencer and had two children with her (see below). However, in 1992 they separated and then went on to divorce in 1996 after Diana publicly accused Charles of having an affair with Camilla Parker Bowles. Indeed, after Diana’s death, he married Camilla in 2005. Nowadays he is well known for his charity work and his campaigns for retaining British architecture and farming. Diana Princess of Wales was one of the most internationally well known members of the royal family in recent times. She married Prince Charles in 1981, at a wedding that was televised and watched by 750 million people around the world. However, after having two children together, the couple separated and then divorced in 1996. This came after it was revealed that Charles was having an affair with Camilla Parker Bowles, and Diana with her riding instructor James Hewitt. Then, in 1997, tragedy struck as Diana was killed in a car crash in Paris along with her boyfriend Dodi Al-Fayed. There was a period of national mourning and millions of people watched her funeral. However, a number of conspiracy theories also began to surface, as Dodi’s father- Mohamed Al-Fayed (then owner of Harrods)- claimed that the car crash had been planned by the British secret service. Finally, by 2007 an inquest into the accident revealed that the accident was caused by negligent driving by their chauffeur. Diana was much loved the world over due to a mix of her glamourous personality and her non-stop charity work, particularly with land mine victims and children. Prince William is the eldest son of Charles and Diana, and is second in line for the throne, only behind his father. He went through military training and is now a qualified helicopter pilot working with a search and rescue team in Wales. In November 2010 he announced his engagement to long term girlfriend Kate Middleton who he met at St Andrews University in 2001. They married on April 29th 2011 at Westminster Abbey in London (read the Foreign Students blog post about their engagement to see a little bit of history!). Prince William is well known for his love of sport, and in 2006 he became President of England’s Football Association and royal patron of the Welsh Rugby Union. Prince Harry is William’s brother and the youngest son of Charles and Diana. He is third in the line of succession to the throne. After finishing school he decided not to go to university but instead to go straight into military training. This led to him secretly serving on the front line of the British war against Afghanistan for 77 days in 2007 before an Australian magazine revealed the story and blew his cover. Since then he has trained to fly helicopters, eventually qualifying in May 2010. 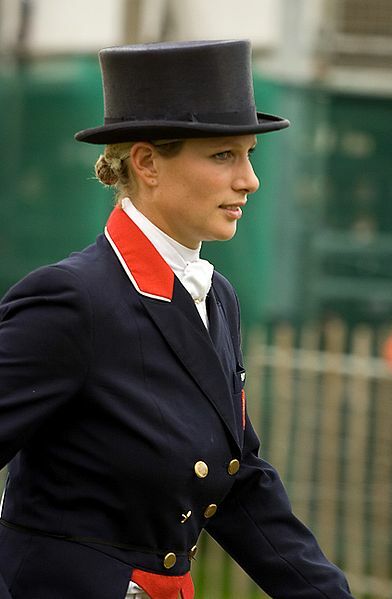 Zara Philips is the only daughter of Princess Anne, who herself is the Queen’s only daughter. Although this means that Zara is not very high up in line to succeed the throne, she is well known in Britain for her sporting exploits. She rides horses and enters equestrian competitions, representing England and Britain. The highest point in her career so far came when she won the Eventing World Championships in 2006 and was then named BBC Sports Personality of the Year. This is a prestigious award voted for by the public and given to the best British sports person of the previous year. Images: © Copyright , Georges Biard, esther1616, Niquinho, and Mareklug and all licensed for reuse under this Creative Commons Licence.